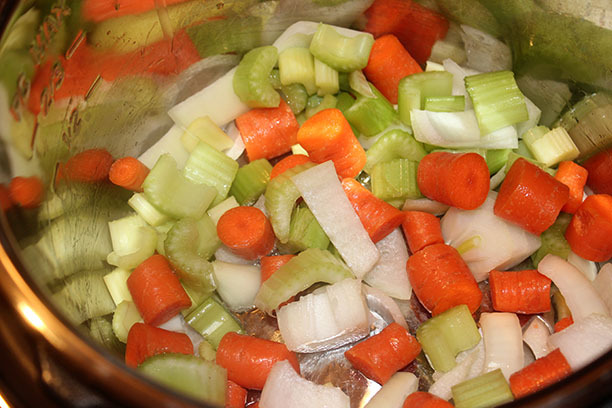 Begin by chopping up 4 carrots, 1 onion, 4 stalks of celery and place at bottom on Instant Pot. 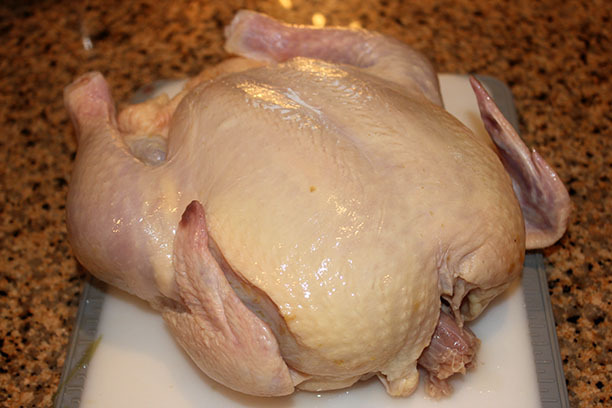 Place your cleaned and rinsed chicken on top of veggies and add water to cover. Never go above the max fill line. 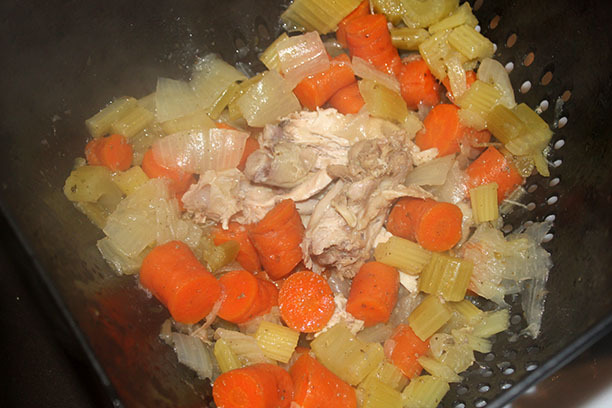 Add 1 tbsp of Perfect Chicken Soup Mix on top and seal the pot. Set to pressure cook for 30 minutes. It will take about 15 minutes to come to pressure, then the timer will start. After timer is done, let the pressure release naturally for 20 minutes and if not completely released, carefully manually release the rest. 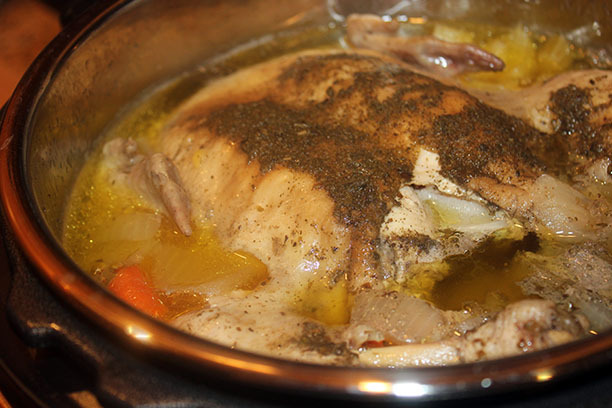 Remove the chicken from the pot and place on cutting board to cool a little. 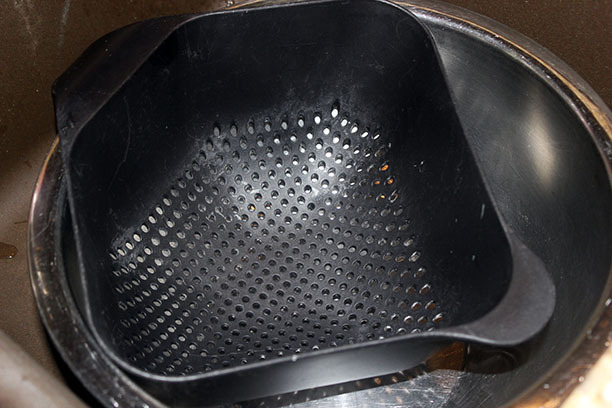 Place a colander in a large bowl and pour the broth and veggies into bowl, straining out the cooked veggies. 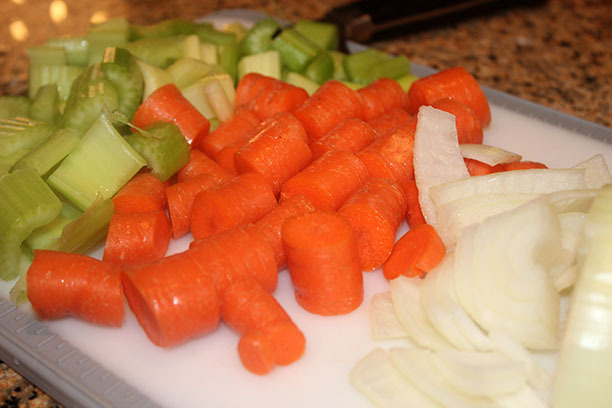 Discard cooked veggies. 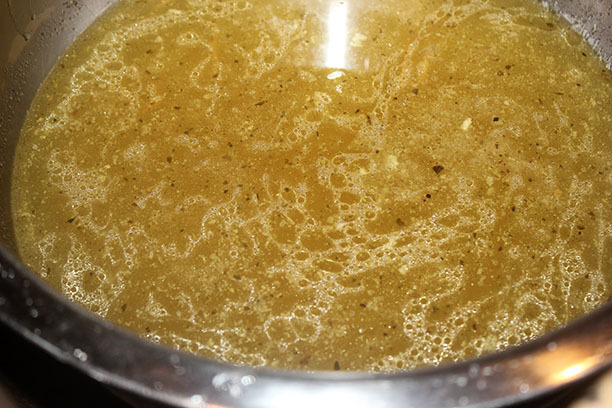 Pour the strained broth back into pot and set to simmer on low. 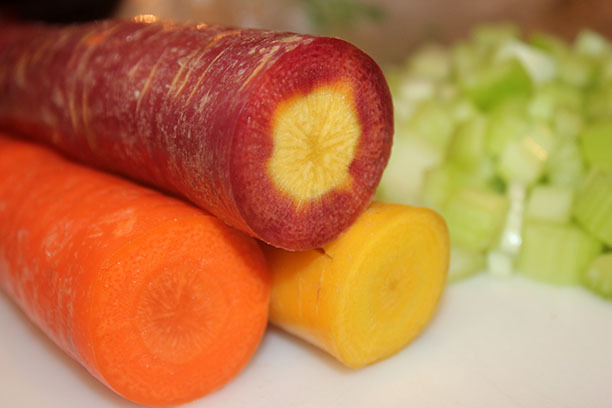 Now add freshly chopped carrots (I used several varieties for color), celery, garlic, parsley and onion. 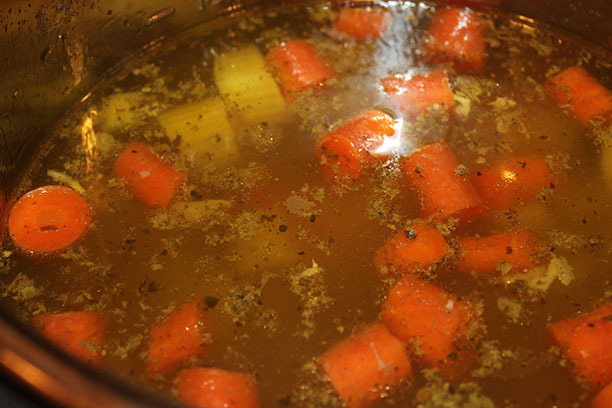 Add one more tbsp of Perfect Chicken Soup Mix, 1 tsp of ground black pepper and simmer. 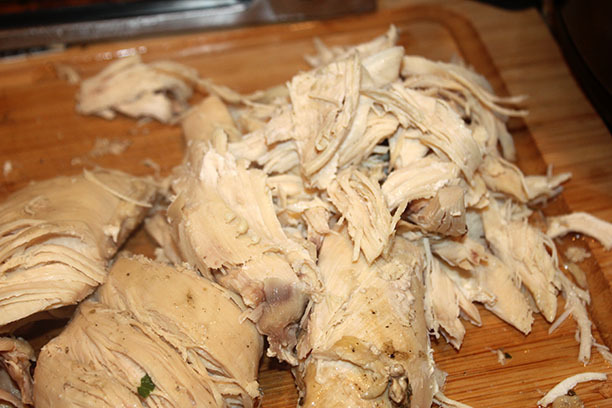 Now shred the chicken. 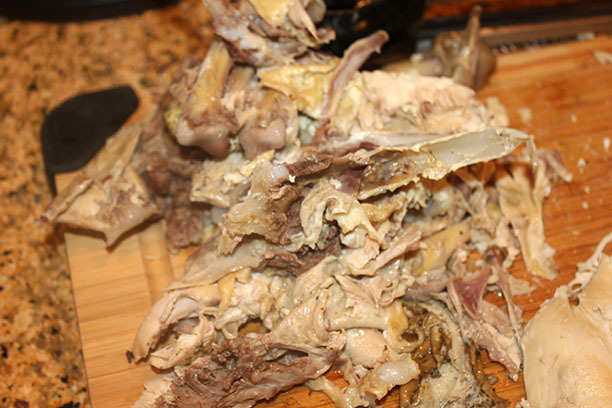 It is amazing the meat just falls off the bones when pressure cooked—practically shreds itself! Also, so juicy and tender. 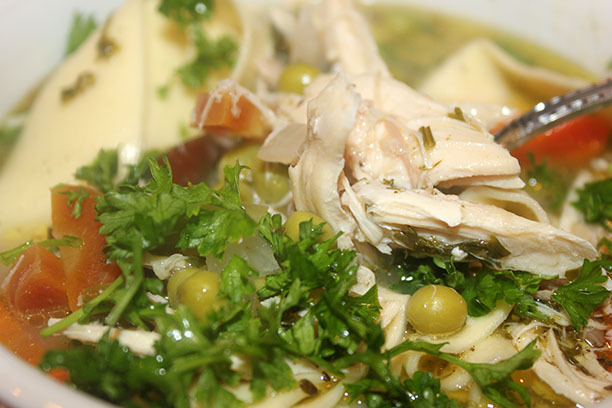 Add the shredded chicken and peas to the pot. I also added a splash of apple cider vinegar and the juice of one lemon. This is totally a personal preference, so I did not include in ingredients. 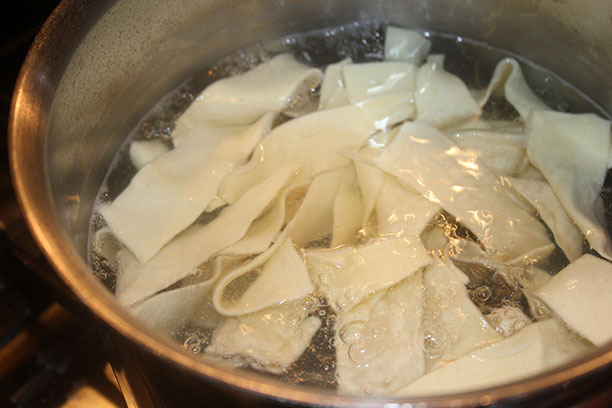 While soup is simmering gently, cook your noodles. 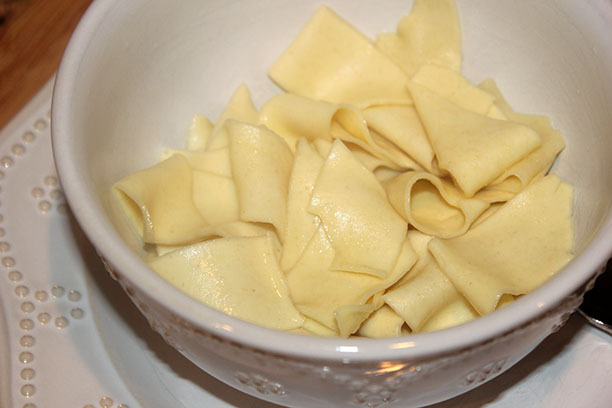 Place noodles in bowl and ladle soup on top. 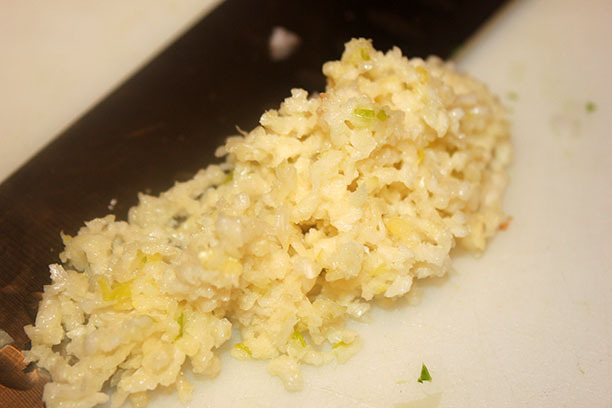 Sprinkle with a little parsley and enjoy! I am so happy to have found your web site. I really don't cook much and when I do I usually use just pepper and Mrs. Dash. 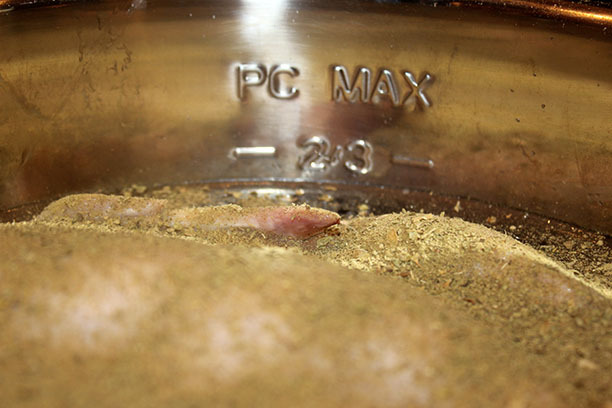 After reading your combination of spices just makes me want to cook. After reading this recipe I have a question. 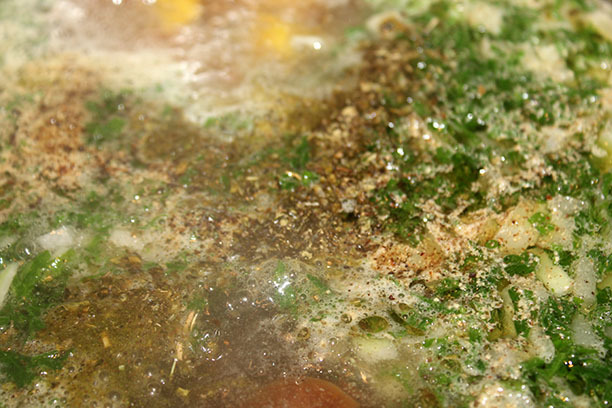 Why discard the original group of vegetables and is it necessary to strain the broth? Do you know why the pressure cooker is now named the instant pot? 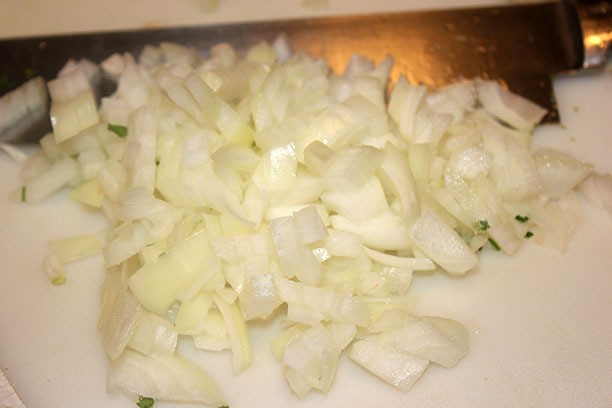 ANSWER SENT VIA EMAIL: The reason you discard the original veggies it that you have extracted all the flavor and nutrition from them during the pressure cooking process. 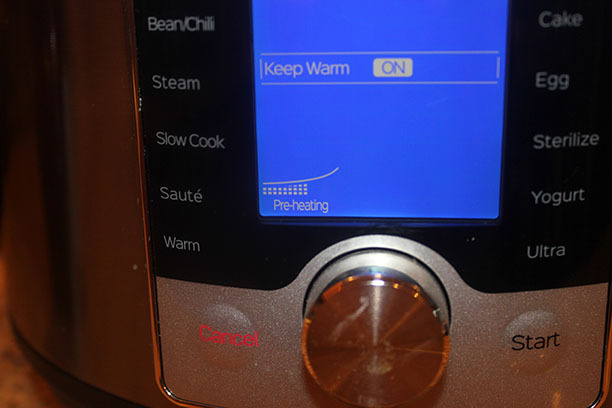 An Instant Pot is a brand name of one of many different pressure cookers. Happy Cooking! 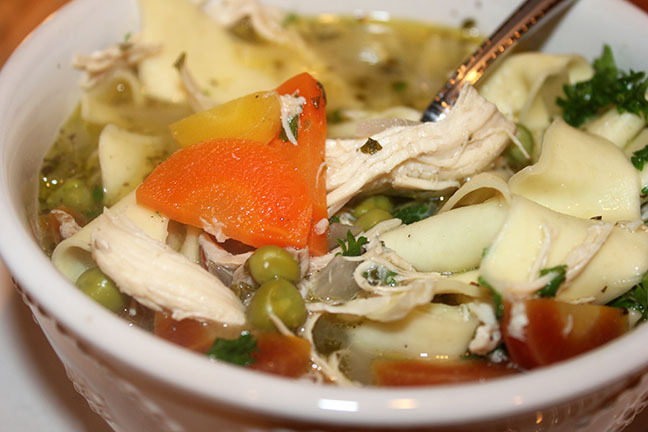 I’m making this soup this weekend. It looks so delicious !! 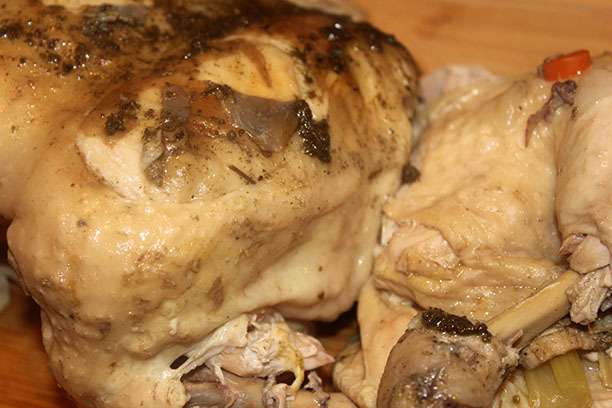 We use Perfect Poultry and love the flavor, so this will be a nice treat for us on a cold Sunday!